There’s no denying that choosing a care home is a difficult decision but we it can be made much easier if all your concerns are addressed. Hearing from people who have already made the move in to residential care can be helpful and address some of those concerns. We have put together a short video so you can hear firsthand from some of the residents enjoying life at a Carebase home. If you’re looking for a care home for your loved one, you’re likely to be experiencing many different emotions. There’s no denying that this will be a difficult decision. We can help with this by providing you with all the relevant information and answering any questions you might have. 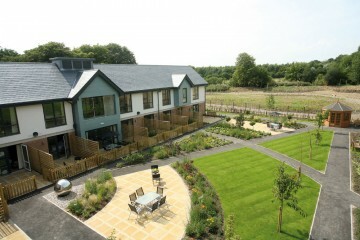 We can also advise you on what you should be looking for from a care home. 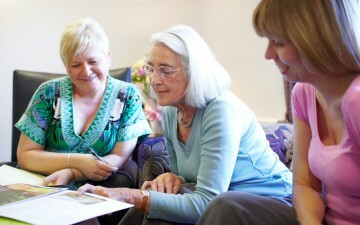 We are in a position to do this because we have more than 20 years experience in nursing, residential and dementia care. We are here to assist you every step of the way. It can be difficult knowing where to start. Our guide to Choosing a Care Home advices on the key things to consider from facilities to care fees. Our role doesn’t stop at looking after your loved one. We also want to ensure that you receive all the support you need, when you need it. Our door is always open to help you in any way we can. We have close relationships with a variety of different organisations like Care Aware, which offers guidance on state benefits and entitlements. Find them here along with some other useful resources and links.